Rembco has state-of-the-art equipment enables us to provide an array of solutions to the many challenging and difficult geotechnical problems that we encounter daily. Not only do we have the requisite technology and equipment, we have the experienced and skilled staff to operate it safely and efficiently. 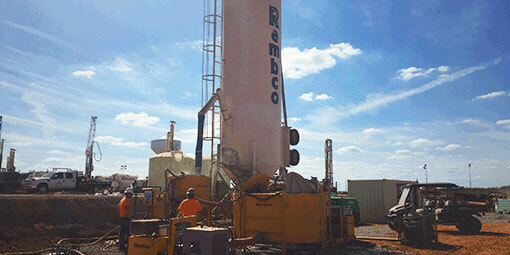 Rembco’s drill rigs give the unique capabilities of drilling different geological formations at any angle. They are capable of drilling open holes using rod handlers as well as using duplex systems in which the casing is advanced as the hole is drilled. Rembco has rigs capable of drilling holes from 3 1/2″ to 24″ in diameter, even with restricted access. 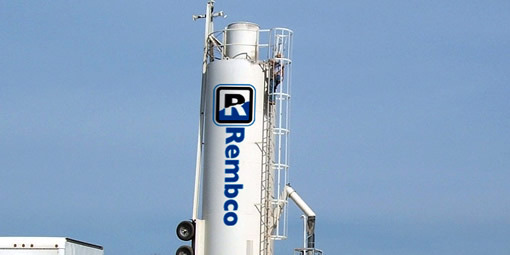 Rembco’s high-capacity grout batching plant is capable of producing and pumping cementitious grouts with cement contents of up to 12,000 pounds per hour. This equates to a rate of more than 250 cu.ft. per hour at a water/cement ratio of 1.00. Rembco’s low-mobility grout (LMG) batching plant is capable of producing and pumping thick mortar-like grouts in quantities up to 25 cubic yards per hour. It is capable of continuously producing and delivering grout ranging in slump from zero to 10 inches, of infinitely variable mix design. On-demand grout production ensures fresh grout, instantly matched to changing grouting conditions.